I still distinctly remember discovering Badiou’s work during my fourth year of graduate school. He was unlike anything else I’d read. Not only was his style characterized by rigor and clarity, but there was a deep passion that ran throughout all of his work. I couldn’t get enough. The context of Continental thought at that time was deeply depressing. Nearly everything you came across seemed to speak the impossibility of doing anything. Throughout all the work I read, there was a deep pessimism and cynicism. The reigning thesis seemed to be that behind any pronouncement there was some ugly ideological secret. One could say nothing lest it contain something that was unconsciously offensive or lest it unconsciously promoted oppression. Or we were endlessly told that nothing could be pinned down, that it was all constructed, that there was no statement that wasn’t already the result of a language game. No doubt this thesis led to the primacy of “philosophy as interpretation” dominant in Continental thought, for where all truth is interpretation it becomes impossible to make any pronouncements: better to focus on the pronouncements of others in that case. At any rate, the dominant strains of theory seemed to engender a deep sense of paralysis. Moreover, all theory seemed organized around showing that we were passive victims, that we were hurt and harmed. There was no affirmation of anything, no utopian imaginary, only endless inventories of harm. For other reasons, the phenomenologist– who came to dominate US Continental thought –were the worst. With the possible exception of Sartre (and maybe Merleau-Ponty)– both of whom were largely ignored anyway –one perpetually sensed a deep conservative streak. Despite my fascination with phenomenology (I began philosophy with Heidegger and wrote my master’s thesis on the later work of Husserl), I could never quite shake the feeling that it was deeply reactionary. How could it be otherwise? Focusing on origins and lived experience, it could not but privilege the givenness of the lived lifeworld. And in privileging the lifeworld, it could not but see things like Galileo, mathematics, and revolution– all of which depart from the lifeworld of Black Forest paths and the simple life of peasants –as an aberration and violence doomed to lead to disaster. The lesson of phenomenology seemed to be “lassen sein“, let things be, never question the wisdom of tradition (for tradition was somehow closer to the more authentic origins). Building on McCumber’s thesis in Time in a Ditch– but for Continental thought, not Analytic thought –was it any surprise that phenomenology came to dominate departments devoted to Continental philosophy? There was nothing offensive about phenomenology, it challenged nothing about our reigning order; it’s message was “return to traditional values”. But with Badiou everything suddenly seemed different. Badiou dared to say Truth. Truth had been the major enemy of the reigning discourses in Continental thought. It was seen as both necessarily naive and oppressive. To state a truth was seen as necessarily oppressing other “language games” where the statement might not obtain. Again, we were all led to paralysis and left feeling as if we were potentially elephants in china shops if we dared affirm anything. But Badiou’s Truth was not the ordinary “correspondence” theory of truth, it was not representational. No, Badiou’s theory of Truth was really a theory of commitment. A truth was, for him, not a representation or correspondence, but an activity that transforms the world. It is not so much the details of his thought that mattered. No, what mattered was the message. What Badiou was daring us to do was commit and commit passionately. Commit passionately to rapturous love even if it leads to your ruin. Commit passionately to scientific discovery, even if it departs from dominant paradigms. Commit passionately to artistic invention, even if it departs from tradition. Commit passionately to political transformation, even if that work seems unrealistic and to desire impossible outcomes. Badiou said commit, live passionately, and continue. Badiou said risk, risk everything for a Truth. Badiou said wager. What dominated Continental thought at the time was a series of meditations on why it is unreasonable to wager, risk, and commit. Badiou said commit and continue. Suddenly the air felt very different. This post seems to be a thoughtful critique of poststructuralist phenomenology. But only "seems." It displays some of the most superficial readings and understandings of twentieth-century Continental philosophy. Which may not necessarily be the author's fault. Perhaps that was the way he was taught it in graduate school. Perhaps he merely accepted the words of his ill-informed professors without question. But to pass on such misinformation is negligent and irresponsible, especially for someone many years after graduate school. His abuse of "impossibility," "interpretation," "Gelassenheit," and "language game" reveal a willed obtuseness with a penchant for obscurantism. Even Badiou cannot rescue such a person from such a dull, dull world. One can, without too much imagination, picture the scene: INTERIOR Amid the dim-lighted musty stacks of books and more books. A lone philosopher, with lantern in hand, scans the shelves for a title. Removing a volume and retiring to an overstuffed chair, his eyes trace the finger blindly tapping each word. He reads aloud, "'Impossbility,'" and thinks, "I know what 'impossible' means; I don't need to look it up in the dictionary. I don't need to think any more about the context of this term, or try to see if the author meant it in any way other than how I already understand it." Problem solved. Now on to the next book, the next thinker, the next thought, without a question to trouble any other of the alleged thoughts in his pretty head. Philosophical thinking, if not both, is neither. Zolatova describes herself as an “impure” boundary-transgressing philosopher, who takes no offence whatsoever at being called a poet. In fact, she welcomes the denomination, receiving it as a high compliment. as if subjectivity could un-name itself under the weight of its own legibility. 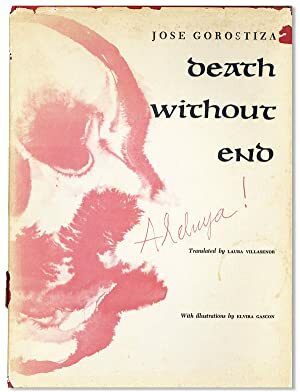 The transgressive boundary bundles the unbounded boundlessness of being as language--that infamous temple of being [позорная храма бытия]--languages the very being of the being for whom being is at issue, at risk, at stake, and in question. The hermeneutical circle of homonymic heterodisaffectivities collapses while expanding infinitely, unmooring the synchronic difficulty of the "to say": Tрудно сказать indeed. Something tells me that Comrade Zolatova will be traveling--and travailing--for many years to come: (Oна не здесь). Она никогда не была здесь. Perhaps, as Gertrude Stein reminds us, there really is no "there" there.